Another one-horned rhinoceros was killed in Kaziranga National Park (KNP) by poachers, who fled with the horn on Saturday, officials said. The incident occurred at Agoratoli range in the park on Saturday, where poachers killed a rhino and managed to remove the horn. An encounter also followed with poachers after killing the rhino. “The Forest guards heard a gun shot and immediately launched a search operation at Sohola area under Agoratoli range,” a park official said. The park official said when the forest guards reached the area, poachers fired and bullets were exchanged. The poachers managed to flee from the encounter spot, taking the horn with them. Security personnel found the body of the dead rhino with its horn removed. Forest guards recovered a 303 rifle and ammunition belonging to the poacher from the crime scene. 41 rhinos were killed in Kaziranga National Park by floods and poaching in the past 10 months. 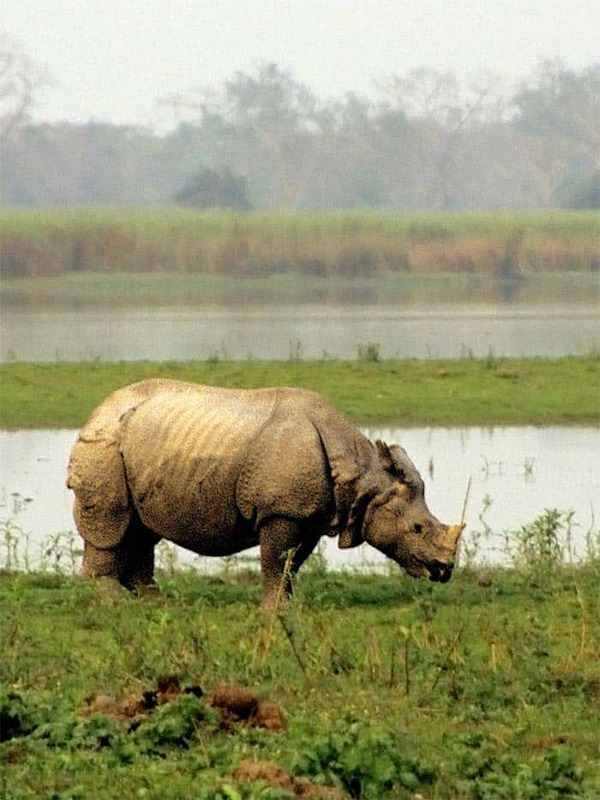 Recently, Union Environment and Tourism Minister Jayanthi Natarajan visited the park and discussed the rhino killing incidents with Assam Chief Minister Tarun Gogoi, state Forest Minister Rockybul Hussain and other forest officials. The Union minister announced a Rs One crore package to Kaziranga National Park for protection of animals in and outside the park.